Western culture has long been defining how the world came to existence, its history, and how it works from a perspective which is centred on a Western and white point of view. While this specific paradigm has been the dominant position of power, others have been hegemonized by it, their cultures and experiences dismissed and excluded. This unequal relationship has been a key aspect of colonialism, the practice of a power extending control over weaker beings or spaces. Colonialism is a term most often used to refer to the occupation of territories and exploitation of the indigenous communities residing there. However, it can also be applied in contexts which do not necessarily relate to the exertion of rights over geographical borders, but still present the acquisition of control over a community, its economical exploitation and the erasure of its identity. One example of this kind of ‘borderless colonial’ phenomenon comes from digital technology. While many technical innovations are asserted as universally positive and beneficial to communities worldwide, beyond borders and across cultures, a closer analysis of who holds the power, who has agency, and whose interests are promoted, can often reveal a very different picture. Questioning how and for whom tools and services are created, and with which rights and restrictions they are made accessible, shows how closely and frequently technology can reproduce colonialist paradigms, also exacerbating its consequences through the large and fast scale of the mechanism which spreads it. Going beyond the predominant narrative of power provided by the same actors who have been holding it for a century-long time can provide a great tool to resist and stand up against systemic injustice. This piece wishes to invite technology users and makers to take a closer look at the work done to date to challenge these paradigms. In order to do this, the post includes a reading list with the aim to inspire reflections, learnings, and actions. Rebekka Kahn and Nasma Ahmed have generously contributed their feedback and perspectives to the review of this post. An especially grateful acknowledgement goes to sociologist and biological anthropologist Shay Akil McLean for the invaluable learnings shared on the websites Decolonize All The Things and Decolonize All the Science, and to medical sociologist and author Zoé Samudzi for the critical and resolute analysis she offers on her essays and op-eds. Please consider supporting their work (here and here), so that they can keep inspiring and mobilizing ever growing crowds of thinkers. Today, the ways and means of technology access and usage are driven by power dynamics centering the needs of specific demographics and experiences. This strikingly channels a colonialist exercise of control, establishing who gets to use a tool or service, and to which extent. More than 60 percent of the world’s population remains offline. Internet access keeps being noticeably higher in advanced economies. Speaking English is a significant factor determining whether someone makes use of the web. Technology is still far from accessible to users who don’t have full physical and mental abilities. 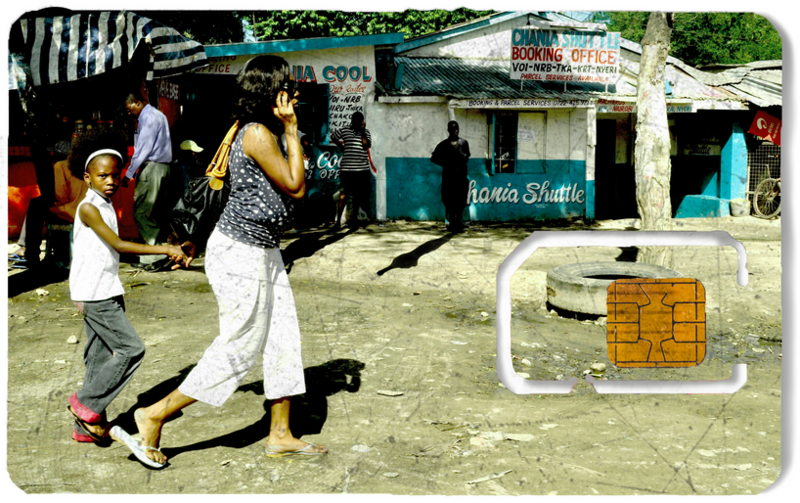 Systemic gender and racial discrimination worsen the digital divide worldwide. If left unchallenged, such exercise of power will keep exacerbating the inequalities and discriminations which technology would actually have the potential against which to stand. How to look into it? A growing number of researchers, scholars, artists and advocates has been looking into how a colonialist approach sits at the core of how a great deal of digital technology is developed, distributed, and capitalized. This has progressively contributed to form a new lens through which to analyse the subject matter, which can be referred to as the concept of decolonizing technology. Broadly speaking, decolonization is the acquisition of independence from a colonial system. Through a process of self-determination, those who had been colonized reach liberation from their colonizer. Applying the concept of decolonization to the modern landscape of technology infrastructure and networks has tremendous potential to strengthen our understanding of how power works, and ideally how to respond to its wrongdoings. At the same time, it also raises numerous questions. What does it mean to think about digital technology as a tool to resist and fight against colonial inequality and erasure? How do the tensions between colonization, migration and diaspora emerge in how technology is developed and accessed? How can we envision decolonized technologies at the local, transnational and global level? What does it look like to challenge present colonial legacies and imagine decolonial futures? As so many questions are far from having an answer, there are plenty of aspects of this concept to be researched, documented, and discussed across borders, infrastructures and policies, and taking into account the experiences of a literally global net of stakeholders. However, the complexity of the subject matter shouldn’t keep anyone from learning about it. The more people grow their awareness of how power is held and exercised, the more they will be able to collectively advocate and act against the colonial systems which rule technology globally. But where to start to find some of the work which explores a future of decolonized technology? With the objective to build a resource to inspire new learnings and reflections on the concept of decolonizing technology, this post includes a reading list on the topic. In order to be shared on this very blog, and to make sure that all the writeups included were available to anyone interested, the list only includes texts written in English and academic sources which were made openly accessible online. Without a doubt, there are many more resources written in other languages, and academic studies which have not yet been openly shared, which focus on this subject. This list represents a snapshot of some the work done to date on the concept of decolonizing technology. It aims to inspire further research and discoveries of any other possible resource and initiative delving deeper into this subject, from many more and different perspectives. This reading list has been compiled and shared to encourage reflections and discussions on digital technologies, colonial dynamics, and how to imagine alternative and decolonized digital futures. If you learned something new from the authors of the resources included in the list, please consider supporting the sustainability of their work. Many have a donation system linked on their website or social media account for this purpose. Feedback, thoughts and recommendations of further resources are very much appreciated. Please feel welcome to share your thoughts leaving a comment to this post or getting in touch via email. Good luck at HKS! Consider meeting yaso as soon as you can! She is brilliant and a good friend.